Today’s post is of a more serious nature. One that has opened yet another area of discomfort and concern. 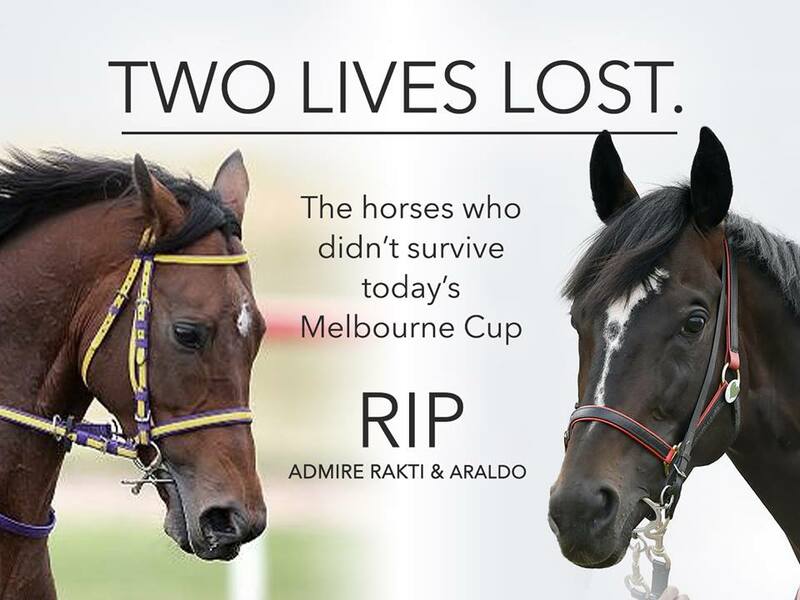 The ‘not so nice stuff that happens that we would rather not hear or know about.’ On Tuesday the 2nd Nov I posted an article about The Race That Stops the Nation – The Melbourne Cup. I am familiar with many of the practices in the treatment of animals across various sectors here and overseas that are less than savoury to put it mildly. That are driven by power, control, greed, the high pressure of wanting to win a competition regardless of the cost. I must add that similar pressure also applies to people competing in the public arena, particularly in sports and modelling. It makes me very sad. There are better ways to achieve high performance. Ways that nurture, nourish, support, celebrate. My hope and fervent wish is that this will be the way in the not too distant future. Oh how sad that two beautiful creatures were “sacrificed” on he altar of greed and glory.